Key Difference: The MacBook is a brand of Macintosh notebook computers manufactured by Apple Inc. The MacBook Pro is considered high-end in terms of specifications than the MacBook Air. The MacBook Pro is a series of portable computers by Apple Inc. 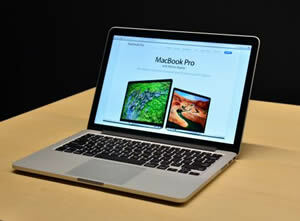 It is considered superior to the MacBook Air in terms of specifications; and the MacBook Pro is costlier as well. The MacBook Pro has 13-inch and 15-inch models and a faster processor. MacBook Pro was originally released on January 10, 2006. On June 11, 2012, the current model on MacBook Pro was launched in the market. The MacBook Air is a series of ultra-portable computers. It was designed to balance both, portability and performance. The MacBook Air was originally released on January 29, 2008. However, the current model was released on June 10, 2013. 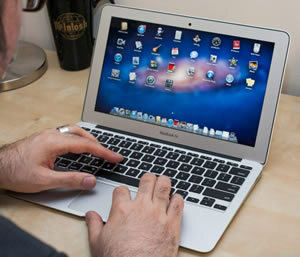 The MacBook Air is available in two sizes: 11.6 inch and 13.3 inch display. The detailed information table about Apple MacBook Pro and MacBook Air has been taken from Apple website. Multi-Touch; supports inertial scrolling, pinch, rotate, swipe, three-finger swipe, four-finger swipe, tap, double-tap, and drag capabilities.